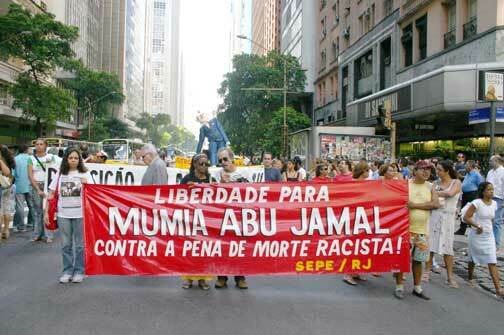 Death Sentence Dropped for Mumia Abu-Jamal! Mobilize Workers’ Power to Smash the Racist Death Penalty! Appeals courts had ruled that the judge’s misleading instructions to the jury in the 1982 trial stacked the deck in favor of execution. Even so, Philly prosecutor Seth Williams expressed confidence that he could get another death sentence from a legal system that is rigged in favor of the police and against those they oppress. But he abandoned the effort fearing that it “would only mean decades more of appeals,” and particularly “a new public forum for the former Black Panther,” today’s Philadelphia Inquirer reported. Instead, Mumia is sentenced to life without parole. Millions around the world have come out in support of Mumia, who has become the symbol of the struggle against the racist death penalty in the U.S. The determined international protest certainly played a key role in saving him from the state executioner. But while the legal lynchers were set back, we cannot proclaim victory until Jamal walks free. He is an innocent man, framed by the cops. He was convicted and condemned to die by a racist injustice system for the “crime” of being a black revolutionary. We must redouble our efforts to free Mumia now! Nor is Mumia free of the threat of death. Every day that he is in jail, his life is in danger. Maureen Faulkner, the wife of policeman Daniel Faulker whom Mumia was falsely accused of shooting, said she was “heartened by the thought that he will finally be taken from the protected cloister he has been living in all these years and begin living among his own kind — the thugs and common criminals that infest our prisons.” This is a barely disguised call for Jamal to be murdered in prison, whether by some snitch or by guards who would then blame inmates. On stage as the D.A. announced he would not pursue a new death sentence for Mumia, Faulkner launched into a tirade against lily livered federal judges who supposedly secretly oppose the death penalty. Faulkner has been shepherded by right-wingers like Philly radio ranter Michael Smerconish, but those pushing for the state to murder Jamal included the likes of liberal Democrat Ed Rendell, who as Philly district attorney oversaw the prosecution of Mumia, and as Pennsylvania governor vowed to sign a death warrant ordering his execution. The fact is that the kind of judicial frame-up dealt to Mumia Abu-Jamal is routinely carried out against blacks, Latinos, Asians, immigrants and others. The death penalty is a legacy of the chattel slavery on which the U.S. was founded, and of the Jim Crow segregation that followed. This system of racial oppression is continued today by cops and courts that routinely criminalize black youth. Thousands sit on death row while tens of thousands of immigrants are jailed in concentration camps, hundreds of thousands are deported every year and millions are held in prisons that locks up a far higher percentage of the population than anywhere else on the planet. The fundamental fact is, there is no justice for the oppressed in the racist, capitalist courts. 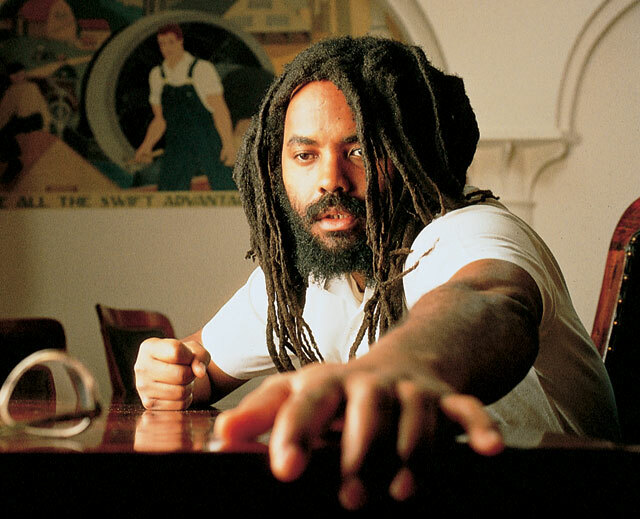 The Trotskyists of the Internationalist Group and the League for the Fourth International have fought for the last quarter century for freedom for Mumia Abu-Jamal. We first learned of his case following the Philadelphia police bombing of the radical MOVE commune on Mothers’ Day 1985, which killed eleven people (including five children) and destroyed an entire black neighborhood of 62 homes. That bombing was authorized by black Democratic mayor Wilson Goode presiding over a racist police force just as Democrat Michael Nutter does today. We also point out that Mumia has been victimized not only by Republicans, such as the racist police chief and later mayor Frank Rizzo, but also by Democratic district attorneys, mayors and Pennsylvania governors. Democratic presidents Bill Clinton and Barack Obama avidly courted the Fraternal Order of Police, which has made a crusade of trying to kill Jamal. And if the racist rulers finally gave up on the death penalty for Mumia, they just executed another innocent black man, Troy Davis.